Dr. Kenna D. Venekamp, a South Dakota native, graduated from the fountainhead of chiropractic, Palmer College of Chiropractic, in 1988. Dr. Venekamp practiced in Longview, TX for one year prior to opening practice in Hot Springs, South Dakota. There he cared for young and old alike for fourteen great years. While in South Dakota, Dr. Venekamp founded the “Black Hills Chronic Spine Pain Centre” in Rapid City, in 1993. A leading innovator in the treatment of chronic spinal pain, the “Centre” utilized state of the art MedX equipment, physical therapy and chiropractic. In July of 2003, Dr. Venekamp and his family moved to Fort Collins, CO, where he teamed up with Dr. Maurice Tihart, the founder of Fort Collins Chiropractic. Established in 1969, Fort Collins Chiropractic remains one of the longest standing fountains of health care in the city. Dr. Venekamp is an active member in good standing of the American Chiropractic Association, the South Dakota Chiropractors Association, the Colorado Chiropractors Association, and a diplomat of the National Board of Chiropractic Examiners. Dr. Venekamp’s interests are in the natural methods of helping the body heal without the judicious use of medications or surgery. Dr. Venekamp resides in the mountains near Fort Collins with his wife, Sarah. 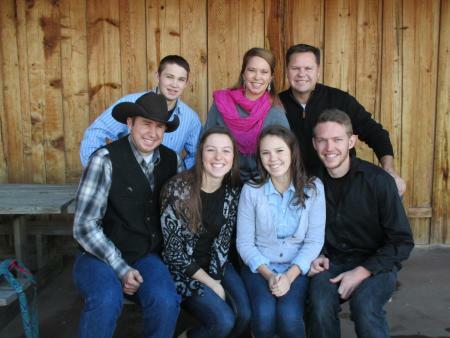 They enjoy time spent with son Eli and his wife Bethany; daughter Hannah and her husband Travis, and son Asa.